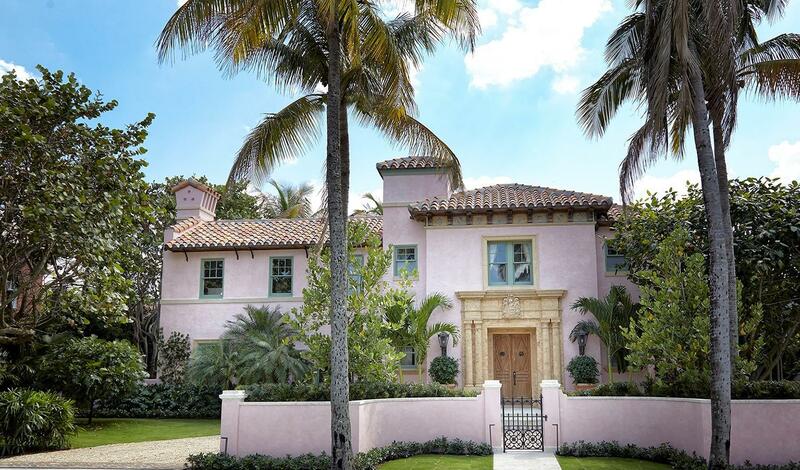 Completely reimagined for comfort and entertaining, this impressive Mediterranean home has been recognized for a meticulous renovation as the recipient of the 2018 Addison Mizner Award and the 2018 Polly Earl Award. Exquisitely redesigned by Fairfax & Sammons Architecture with grounds designed by Nievera Williams Landscape Architecture. Originally designed by renowned architectural firm Volk and Maass, this stunning landmarked home is located on an oversized, In-Town, 12, 500+/- square foot lot, just two streets from Worth Avenue and in close proximity to the South County shops and restaurants. With 5BR/6.1BA including guest house, living room with fireplace, media room with bar, formal dining room with fireplace, eat-in chef's kitchen, and 2-car garage.